It’s not always easy to find someone’s email address, as they’re not always willing to reveal their email address on the web. They don’t want to get another spammy email! But here’s the good news: with a little digging, it is possible to find most people’s email address. Finding email addresses is a BIG part of my job. I’ve sent more than 2K emails to bloggers, SEO experts, and inbound marketers over the past 18 months. And I had to search for nearly every email address for my outreach. I’ve tried loads of tips & tricks and dozens of email discovery services, both free and premium. Most of them did not work for me at all. Some were not particularly efficient and took too much of my time. So I kept trying to optimize the process. Today I’m going to share my most effective, personally tested email discovery methods with you. I won’t talk about the most obvious methods here. After all, searching on Google, checking contact pages, and looking at contact sections on social networks is probably the first thing you’d do, right? If you’ve been following Ahrefs’ blog for some time, you’re probably aware that we like to back up our statements and recommendations with solid numbers. So I took eight email lookup services, which got quite a few recommendations from digital marketing professionals and ran a test. 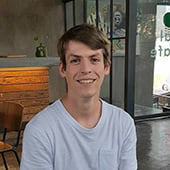 Clearbit Connect: 100 searches per month. Free access. Hunter: 100 free searches per month. Paid accounts starts at: $49/month for 1,000 searches. toofr: 30 free searches as a trial. Paid accounts starts at: $19/month for 2,500 searches. Findanyemail 2.0: 100 free searches per month. Paid accounts starts at: $49/month for 5,000 searches. Voila Norbert: 50 free searches as a trial. Paid accounts starts at: $49/month for 1,000 searches. Emailmatcher: Unlimited free searches (protected by reCaptcha). Anymail finder: 20 free searches as a trial. Paid accounts starts at: $18/month for 200 searches. Find That Email: 15 free searches per month. Paid accounts starts at: $29/month for 500 searches. I took a list of precisely 100 people from my contact list in SEO niche and searched for their email addresses in each of the 8 tools. For every contact on my list, I already had a corporate email, so I would know if the tools found the right address or not. The input data included First Name, Last Name, and Domain. It’s true that one person can have several email addresses on the same domain. So for every tool, I had to verify the result when it was different from the email addresses I had. Viola Norbert is the winner with 87% success rate. I ran a similar test over a year ago, but it only covered three tools and used 25 contacts; this time I’ve tested eight tools with 100 contacts. Last year, FindThatEmail was the winner. But because the sample size is now considerably larger, this year’s results are more reliable and accurate. 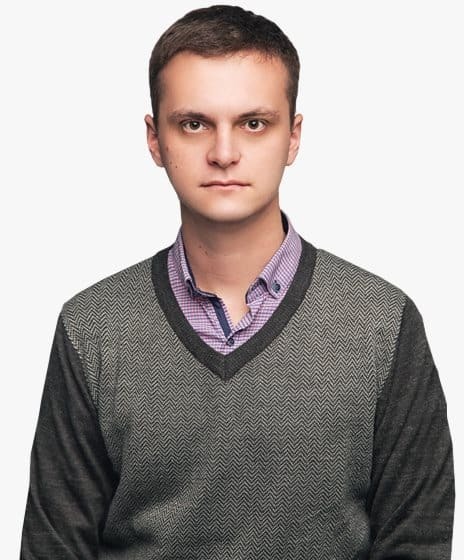 A close runner‐up is Clearbit Connect. It showed outstanding results as well but, unlike Norbert, it allows up to 100 searches per month for free. That’s more than enough for those who do quality, personalized email outreach. want to be included in this study? I always wondered how these tools worked, so, naturally, I asked Google. We search the website of the company the person is currently working for. We search all the email addresses we have in our base using the same domain name (i.e., all email addresses with @company.com). Depending on what we get, Email Hunter automatically finds the most likely email pattern used in the company. If we don’t have enough data, we just return the few email addresses we found for the investigated company and let the user judge what can be used. To give more accurate results, we also use SMTP checks to test the deliverability and score the quality of sources (pages where email addresses are displayed on the web). That’s actually how most email discovery services work. Some of them also search through their huge databases with tons of email addresses in them. SMTP check, by the way, is not a very reliable way to verify an email address. I’ll show you why a bit farther in this post. I went to Google again to find the most recommended email discovery services. The odd thing was that I had not seen any tests or comparisons of these tools. People just listed them in their articles about outreach and email hunting. Using an email discovery service is a good solution for your email search. But it’s not a perfect one. They only allow a limited number of free searches and their subscription plans can be quite expensive. If you want to learn some free ways to find an email address when email discovery tools fail, keep reading. This method of email discovery is not new; it has existed for years. Besides, as you already know, it’s the cornerstone of many email lookup services. Most email addresses follow one of several formulas. If you know First Name, Last Name, and Domain of your target, you can easily guess someone’s email address. In fact, more than 70% of the email addresses from the list I used in my test above used the simple name@domain.com formula. 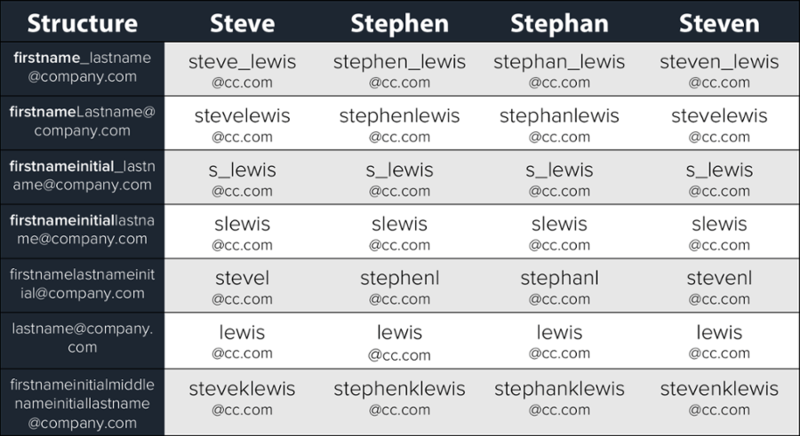 The table above is taken from this Hubspot post. I think they covered all most popular email address structures. But I will add one more—firstname.lastname@company.com which I come across quite often. 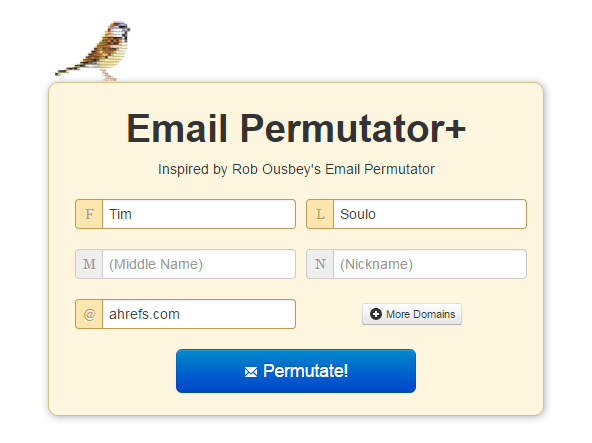 Email Permutator+ from Metric Sparrow. It can automatically create a list of possible email addresses. Just fill in the fields and let it do the job. Email Permutator spreadsheet built by Rob Ousbey from Distilled is an impressive alternative. These tools will get you a list of possible email addresses in seconds. Now you need one more tool which will check these suggestions: LinkedIn Sales Navigator Lite for Chrome (ex. Rapportive). Install it now if you have not yet. Now click “Compose” button in your Gmail and paste all the email permutations into the “To” field. Then move the cursor over the email address one by one and observe. If both Sales Navigator and Gmail remain silent, you can run another check by searching for the exact match of your best guess on Google to see if it was mentioned anywhere on the Web. I don’t recommend relying on email verification services because they are often wrong. In reality, this email address does not exist. Unfortunately. Now you might already be thinking that there’s a problem with this tip. And if so, you are (kind of) right! Google uses the “@” symbol for social tags. And if you put “@ahrefs.com” (exact match search) in Google, you won’t find any email addresses. But don’t forget that Google is not the only search engine! 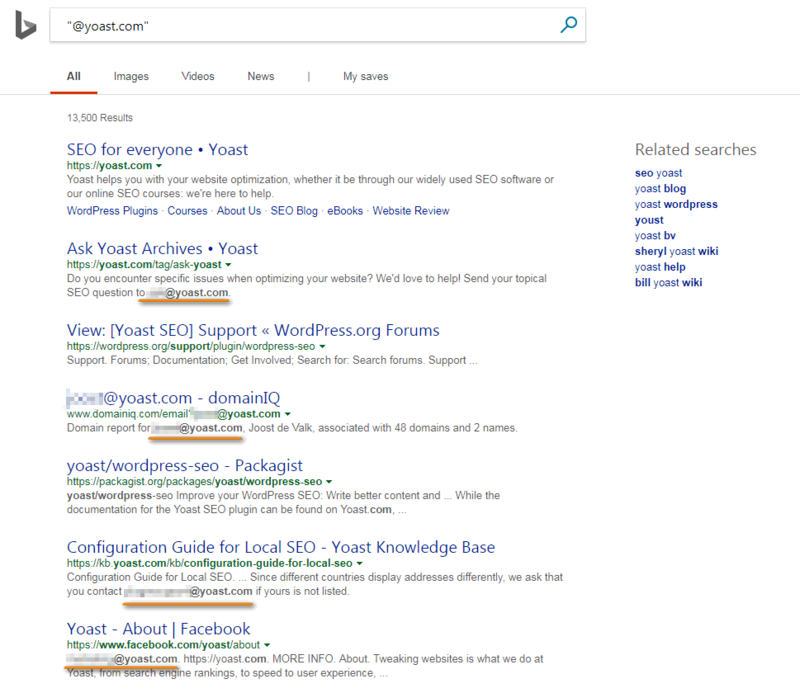 I discovered this hack not so long ago: you can use Bing search instead. Use exact match search for “@domainname.com,” and Bing will reveal email addresses related to this domain if they are publicly available. As you can see, this little‐known trick does work. Surprisingly, this trick appeared to be a hit and miss. Bings search results seem to fluctuate a lot, and honestly, only some members of our team were able to replicate this. Let us know if it works for you in the comments section. Did you know that a user’s email address is always visible on LinkedIn for your direct connections? Check one of your connection’s profiles, and their email address will be there for you to grab in the ‘Contact Info’ section. Just in case you don’t know, you can see differences between connections and those you are following on LinkedIn here. 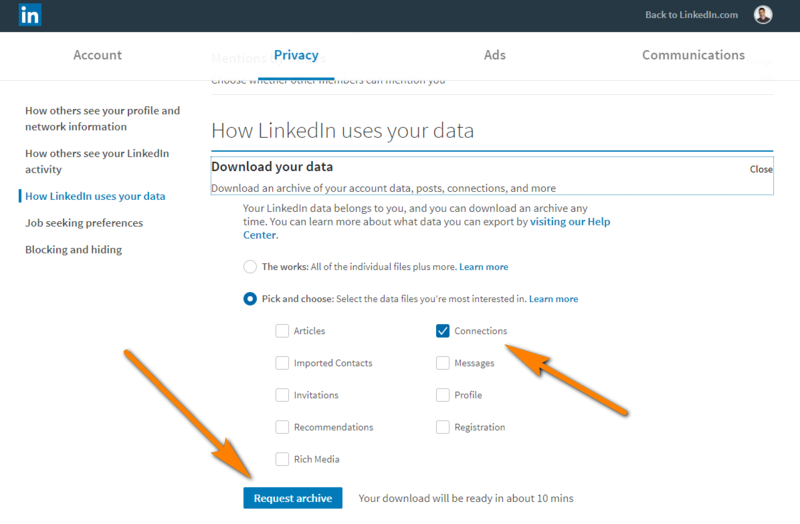 You can also export all your LinkedIn connections to a single file on your computer. You will then get a CSV file. And your connections’ email addresses will all be there. That’s handy if you have a VA collecting email addresses for you. Just send the exported file over to your VA.
And here goes a warning message for everyone—don’t blindly connect with everyone on LinkedIn. You risk leaking your personal email address into improper hands!!! I’ve seen plenty of contact pages where people say that the best way to reach them is to drop them a message on Twitter. But generally the message you want to send is more than 280 characters long, so you’d prefer an email address. If that’s the case, don’t hesitate to find that person on Twitter and ask for their email address. 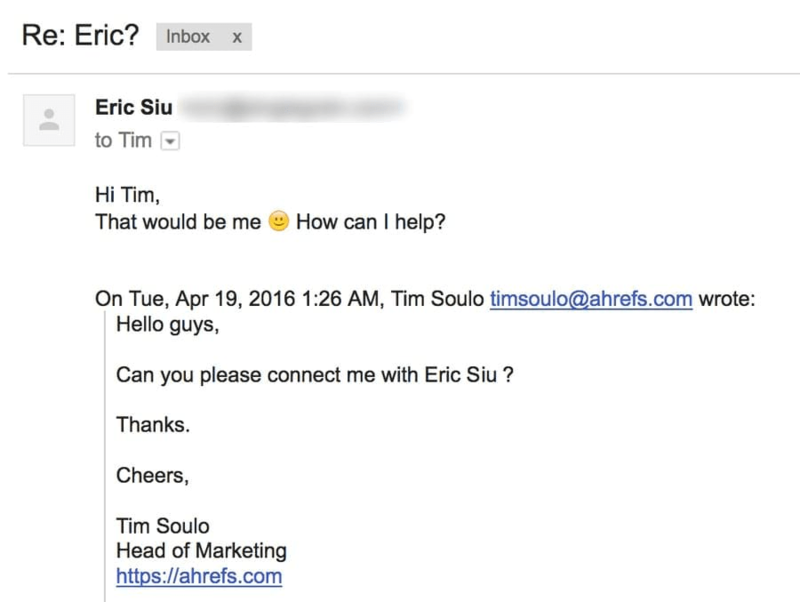 Our head of marketing, Tim Soulo, does that quite often. Trust me; most people will eagerly answer such a message, providing that you have a real Twitter profile that clearly states who you are. The method above is not the only way to get someone’s email address using Twitter. I’d like to share another neat Twitter trick with you. Quite often people share their email addresses in their tweets. But to hide them from bots, they replace “.” and “@” symbols with “dot” and “at” words. Have you already guessed your next step? 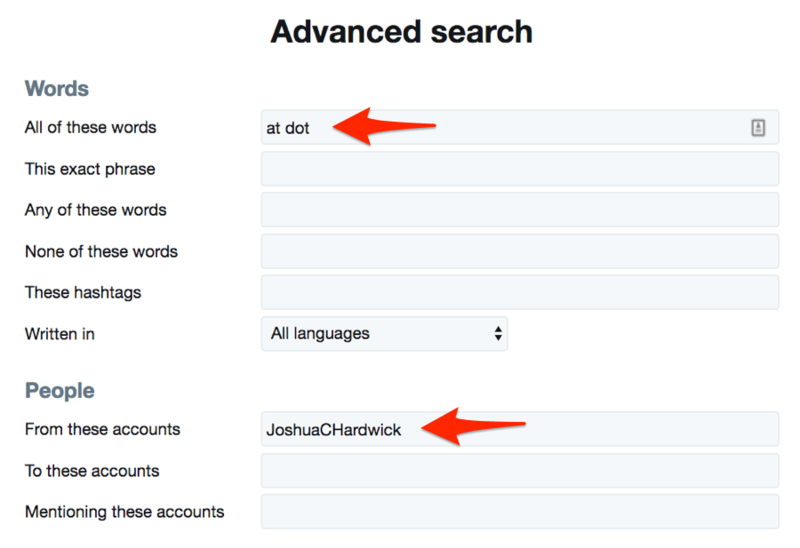 Go to Twitter Advanced Search and look for “at” and “dot” words in tweets from your target person. You can also include words like email, contact or reach in your search to narrow down the results. Let’s see if this works for Joshua Hardwick, our Head of Content here at Ahrefs. I had a dog, and his name was… BINGO! Some people don’t even bother ciphering their email addresses when they tweet. 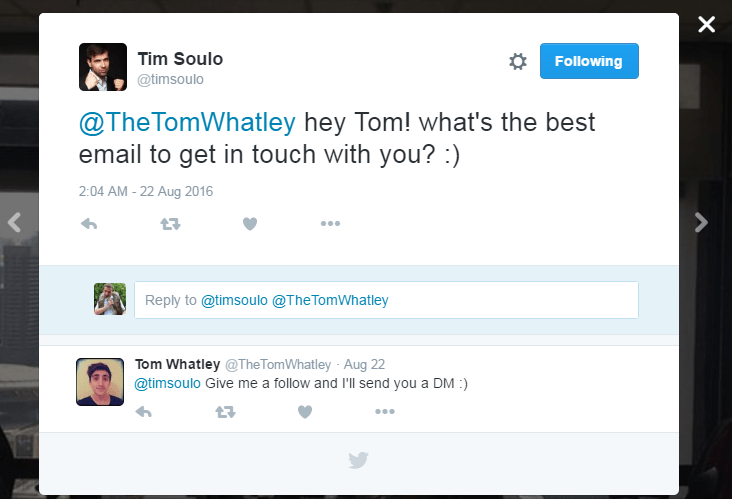 Let’s see if our CMO, Tim Soulo, ever shared his email address on Twitter. 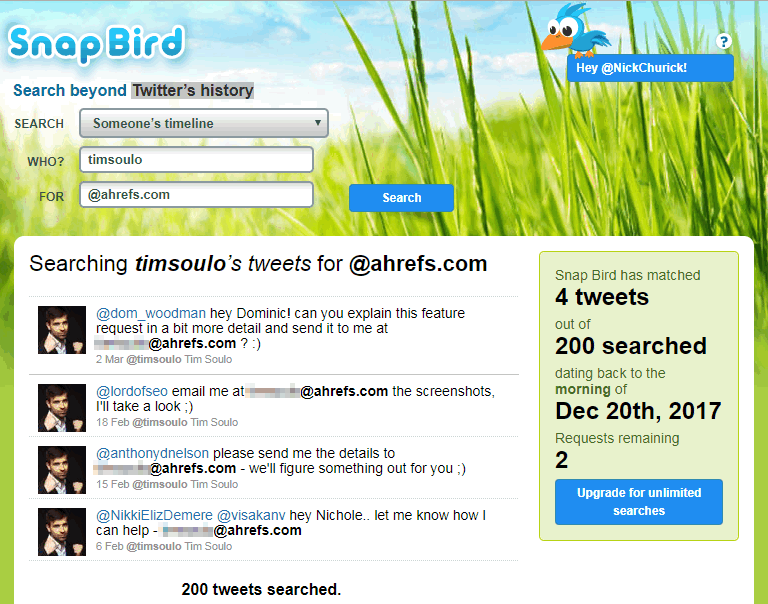 Snap Bird service is a convenient way to search any Twitter users history. As you can see, he does that quite often. If a person you’re targeting has a personal blog, you can subscribe to his or her email list via an opt‐in form on the blog. Most newsletter emails will come from their personal email address. Besides, it is an outstanding opportunity to start a conversation with a comment on one of the newsletter emails you will get. You can write a smart question that requires a quick answer or ask for an opinion. 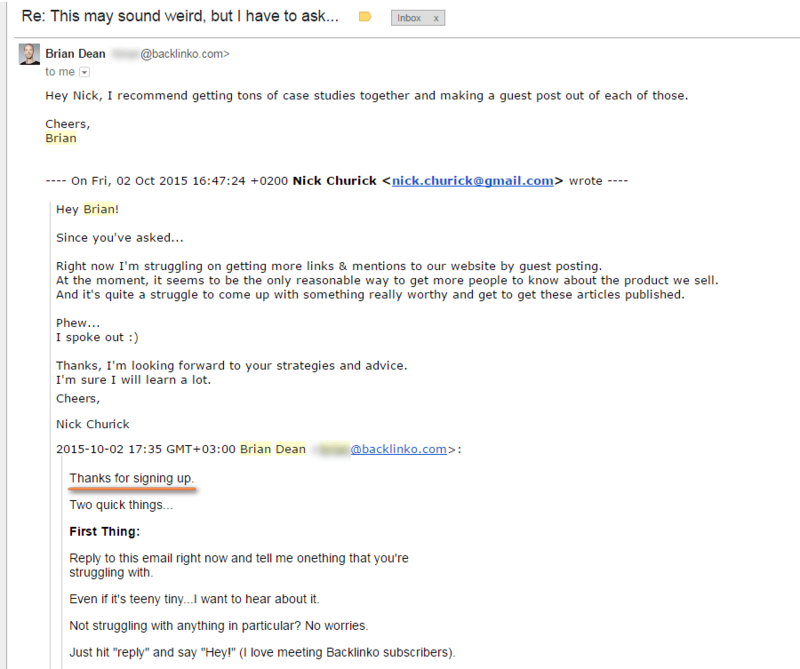 I signed up for Brian Dean’s newsletter and replied to the first email I got. Sometimes special email addresses like newsletter@domainname.com, news@domainname.com or similar are used in newsletters. But if you reply to these, an answer might come to you from the personal email address. Just shoot a simple message and ask them to connect you with the person you want to reach. This mostly works if your email signature clearly explains who you are. This is my last resort in finding an email address. These days many domains have private registration details, which means you won’t be able to find contact details for the domain owner easily. But sometimes you can still find the domain owner’s contact email address in WHOIS data. It works best for one‐owner websites, who have little to no reason to hide contact information. But this information is available for some larger sites as well. A lot of people will use their personal email addresses here (e.g., Gmail). While this may seem desirable, keep in mind that many people don’t publicly post this email address anywhere else. So, if you send a cold email to this address, they’ll know where you got it from, and it may even annoy them. I, therefore, recommend that you use this tactic wisely and sparingly. And that’s it! Plenty of actionable methods you can use to find any email address. 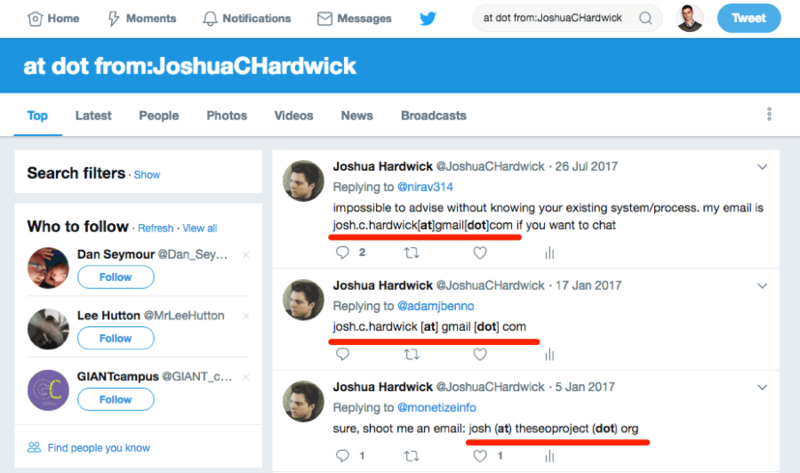 Of course, looking for an email address on Google or in social profiles is a more obvious tactic, but it doesn’t always work. The tactics I shared above work perfectly for those that are proving difficult to find with “traditional” methods. And if you know any other good ways to find someone’s email address, I’d love to learn them. Just share them in the comments!